Youth-sized zip front water-resistant, hip-length nylon taffeta jacket is lined with lightweight brushed fleece, elastic waist and cuffs. Attached lined hood has elastic inset for a snug fit. 2 front zipper pockets, 1 inner chest pocket. 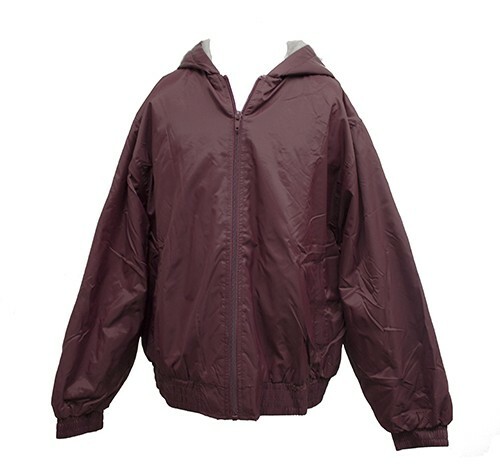 Outer shell is 100% Nylon, inside lining is brushed polyester/rayon/nylon fleece.